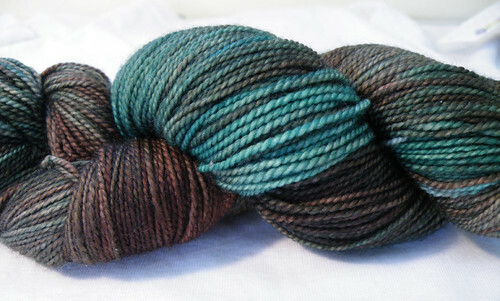 After my last post, I realized I’d forgotten to say what happened with the Tempest cardigan I showed you the swatch for. It was a case of putting the horse before the cart. 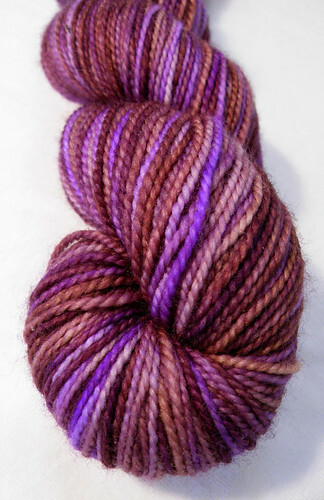 As most knitters know, when you’re knitting with an indie dyer, there can be great variation between skeins. I had enough skeins of Chocolate over Caramel (the brown) to complete the cardigan, but only one skein of Cactus Rose (the pink). I was able to trade for another skein of Cactus Rose, and the picture of the skein I was getting looked close to the skein I already had. So I cast on, confident the two would match, which, of course, they didn’t. 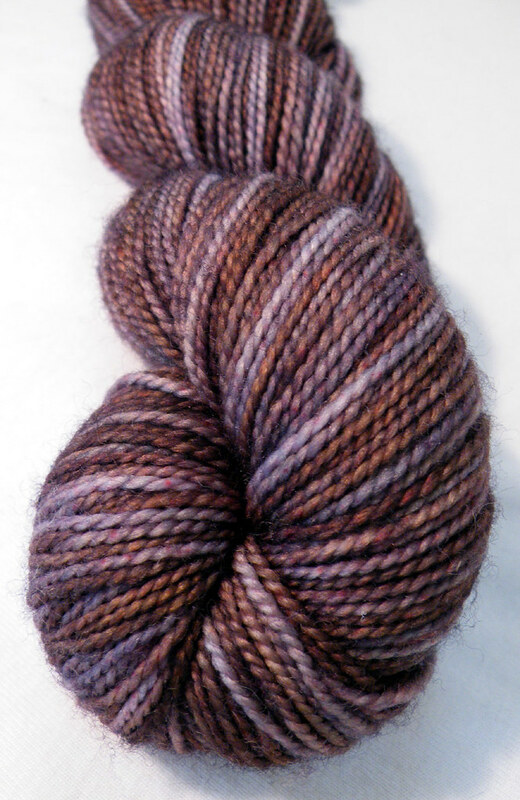 The skein I received was much darker. I suppose I could have tried to trade it for another skein, but there were only six other skeins of Cactus Rose on Ravelry, and it wasn’t the perfect pink anyways, so I frogged the four inches I had knitted. I’m confident that someday Sundara will come up with the perfect pink to match the brown, and I’ll be able to cast on once again. All of my favorite color combinations include brown. Brown isn’t a color I usually wear or knit on its own, but when mixed together with purple, teal, or pink, I can’t get enough of it. Since the vest I’m knitting doesn’t look much different than last time you saw it, I thought I’d show you a couple of my favorite skeins in these combinations. This is what I’m knitting my vest out of. In the pictures I took for my last post the purple looked more blue, but here you can get a much better idea of the true color. I have no idea what I’m going to do with the skeins of sock. They’re far too pretty to make socks with. 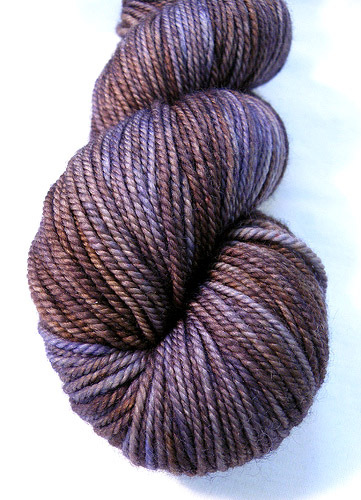 I was lucky enough to get two skeins of Tilth so I’m going to have to think of a very special project for it. Since you don’t know what to do with them, my suggestion is send them immediately to me. I love so many color combinations I wouldn’t even know where to start listing them. I do really love brown with other colors. Mainly the one’s already have listed. I also really like black and bright colors mixed together, like black and bright teal or magenta. I love Midnight Kiss- so pretty! I also love wearing pink & brown in outfits. It feels right to me, somehow. OH MY!! The tilth color is beautiful!!!!!!!!!!! You will find a great project for it.